Specialist UK office development and investment company Trilogy Property and investor LaSalle Investment Management announced the appointment of a team of consultants set to transform the 600,000 sq ft post-modern office campus East India Dock into a new hub for the burgeoning innovation, co-working, cultural and tech sectors. The creative team, comprising architects Studio RHE, branding and graphic designer Tom Hingston and brand and marketing strategists Simon Turnbull and Andrew Hale, has been appointed to develop a masterplan and brand which reimagines East India Dock as an office and lifestyle offer appealing to start-up and growing companies at a low cost compared to other central office locations. 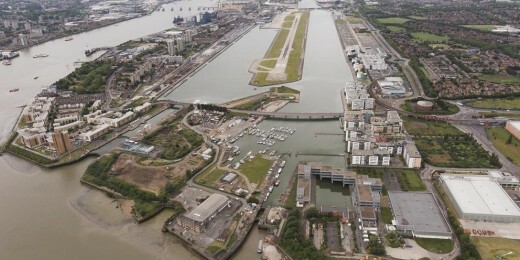 East India Dock is expected to take advantage of the eastward migration of the creative and digital sectors and cultural institutions, such as the English National Ballet’s move to London City Island and Olympicopolis in Stratford. The brief specifies that the development should appeal to a mix of next-generation talent alongside top creative and cultural occupiers. Alongside the masterplan, a full brand realignment is expected to focus on the development’s location as a hub for the eastward shift and a champion for the new post-Shoreditch workplace. Trilogy Property is a specialist in repositioning major property assets, bringing experience on highly successful developments in London, rejuvenating unloved buildings to deliver contemporary business and lifestyle destinations for the creative and digital sector. 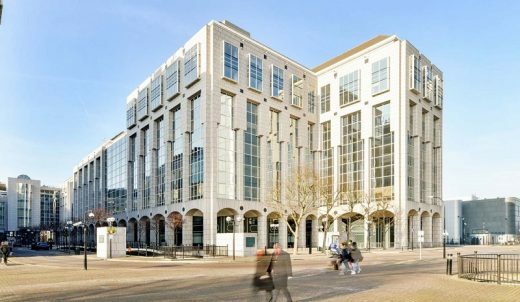 Work is currently underway to create a circa 10,000 sq ft co-working space in the 250,000 sq ft Anchorage House on the East India Docks site, and a planning application for the masterplan is expected to be submitted to the London Borough of Tower Hamlets later this year. 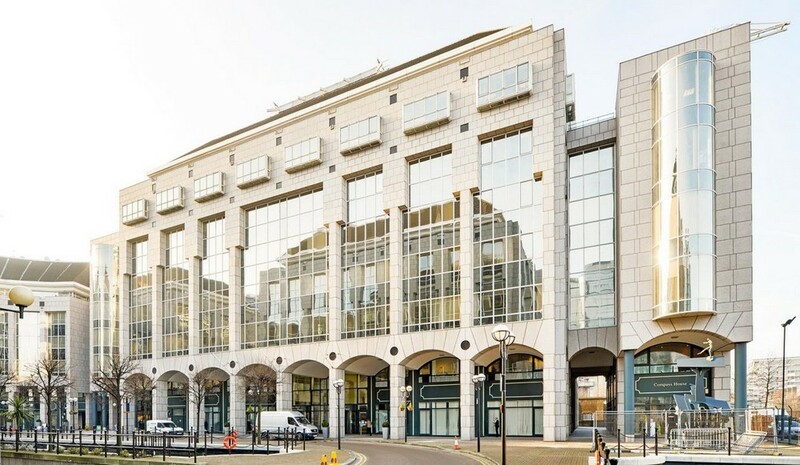 Trilogy Property was founded in 2015 by former Resolution Property partner Robert Wolstenholme as a development and investment company specialising in repositioning tired or overlooked assets to create contemporary workplaces and mixed-use destinations. Robert has more than 25 years’ experience in development, investment and asset management. 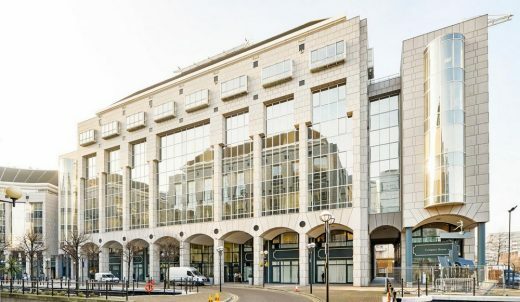 Built in 1993, East India Dock is a 593,233 square feet office development with retail and leisure amenities and 471 car parking spaces situated on a prominent 6.4-acre island site in the London Docklands. It is comprised of four office buildings with a maximum height of nine storeys that vary in size from 64,513 to 218,306 square feet. The floorplates across each building range from 13,000 to 28,000 square feet and benefit from natural light and attractive views across London. 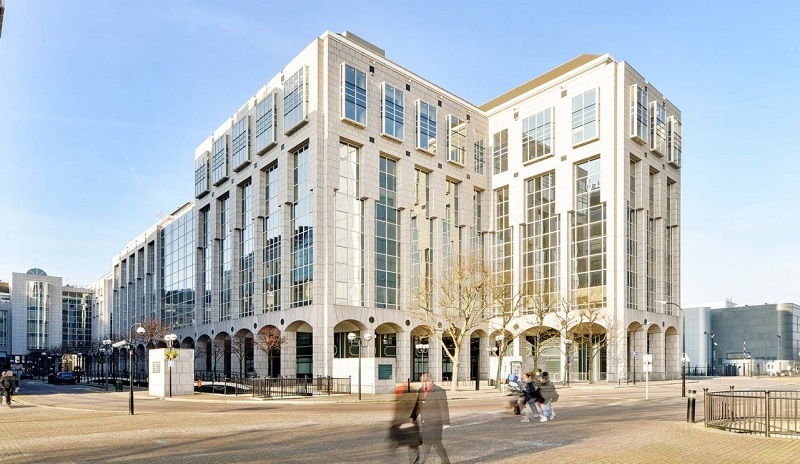 The four linked blocks of five to ten storeys (plus basement car parks) are in a monumental Post-Modern style, with colonnades, arches and gridded windows, including multi-storey bays. Studio RHE is a London-based practice with a global reputation for delivering bold and innovative architecture. Its highly skilled team is renowned for the fast generation of concept ideas and hands-on project delivery. Its latest London project, Alphabeta, which draws on the practice’s experiential hospitality and retail design experience, has placed the practice at the forefront of new thinking in workplace design. With a range of further high profile projects coming to completion, Studio RHE is fast gaining a reputation amongst clients as an architect with both creative originality and commercial nous. Hingston Studio is a renowned independent creative agency, specialising in design and art direction.Founded in 1997 by Tom Hingston, the studio creates brand identities, print, packaging, advertising campaigns, films, spatial and digital experiences. This diverse approach is underpinned by 19 years experience working with some of the world’s most influential brands, artists, film makers and designers.The studio’s portfolio spans a broad spectrum of sectors; from fashion and beauty, to music and film, technology and property. Simon Turnbull has 25 years senior, international experience in brand and business development roles within the creative, media and marketing industries. His creative in the consultancy is Andrew Hale, primarily a musician and founder member of the band Sade. Simon created and directed the brand concept and marketing strategies for the Ampersand Building in Shoreditch. The East India Docks was a group of docks in Blackwall, east London, north-east of the Isle of Dogs.